We are working on a 5-stop (one for each day of the Ancient Olympics) trail in the Ure Museum of Classical Archaeology. Each stop will have one object associated with a particular day. Material has been gathered from the Open University’s excellent Openlearn Olympics information. Some of the same problems as in the Berkshire Farmer trail have been encountered, plus the added wrinkle that Openlearn uses Flash for its animations so we are unable to show these on an iPad. Our urge to try a more ‘industry standards’ compliant tablet is great, but we probably do not have the manpower to support another tablet, and the iPad accessibility options are otherwise good. 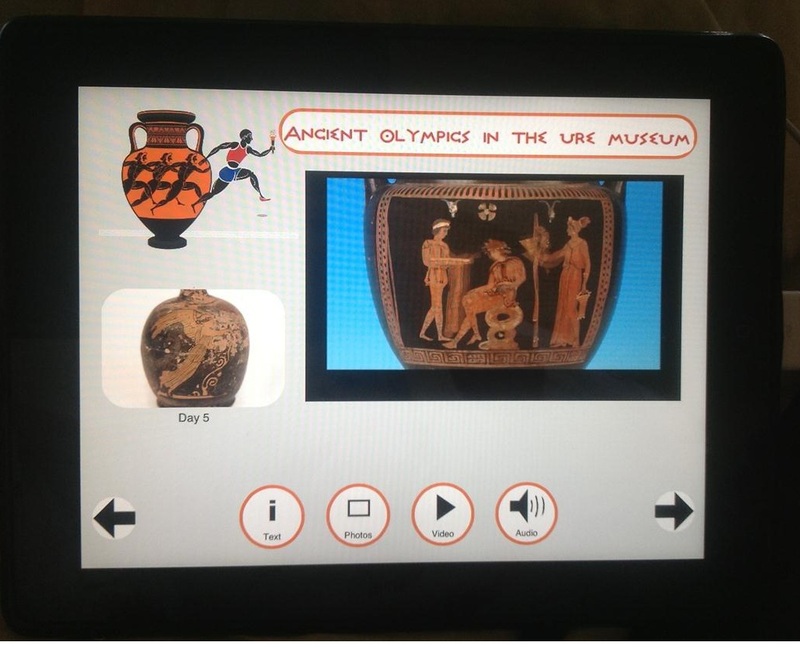 We have been able to use the animations from the Reading schools/animator/Ure cultural olympiad project in the iPad version being tried over half term in the Ure Museum. The animator and the Museum have granted permission to use elsewhere but we await permission from funders (?) as use on other mobile devices would require publishing.